Making progress on a special Christmas present. The pieces are cut, now to start on the layout. Linking up to WiP Wednesday at Crazy Mom Quilts. Fabulous. Love the fabric/colour choices you are making. Ooh, I'm really liking it Kelsey! Loving the colors and fabrics! The grays are adding a great vibe. 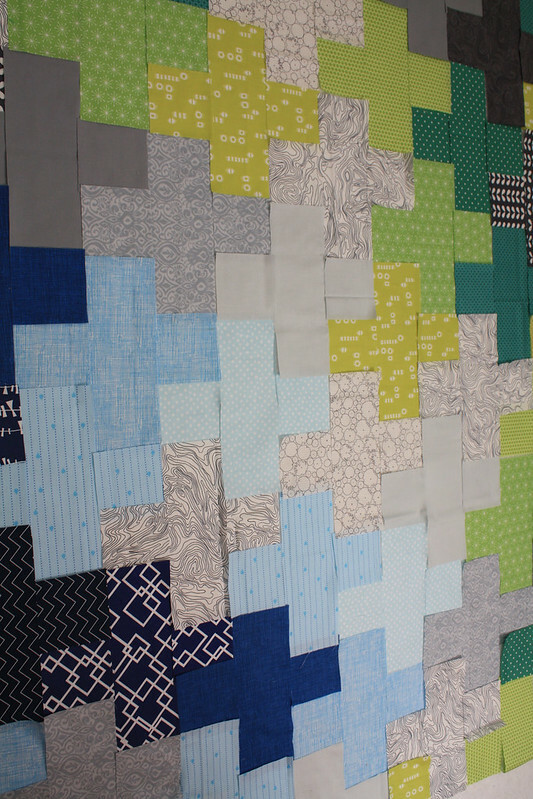 a plus quilt is on my to make list and i love yours!!! The colors are fabulous! It's so tricky to fade from shade to shade. I love where this is headed. Oh so very pretty, lovin your colours. That is going to be one heck of a lot of seam match ups - I only say this because my current work is squares too and it sits mocking me on my design wall as I fret about the seam match ups haha!!! Love the colors in this and the patterns in the fabric! Can't wait to see as it comes along. Gorgeous! I've got all the fabric bought to make a plus quilt but I haven't gotten started with it yet. Awesome! 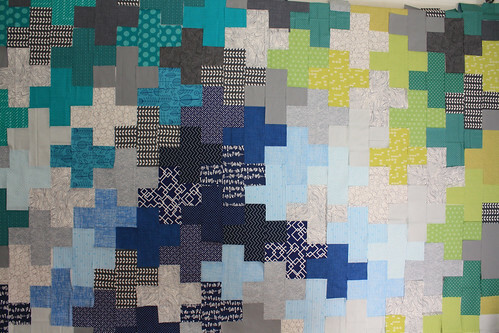 I love plus quilts and those blues are to die for! Such great fabric choices with a wonderful mix of textures. How big are you going for the finish? LOVE.the.colors. A plus quilt is still on my "to do" list.